⬅ Which Book Would You Buy? Woo Hoo! The results are in! Thanks to you — wonderful readers of this blog, many of you on my mailing list and fans of my Facebook page — you’ve now unanimously told me which book you’d rather read. You like to dig into a book with a dirty dessert plate. 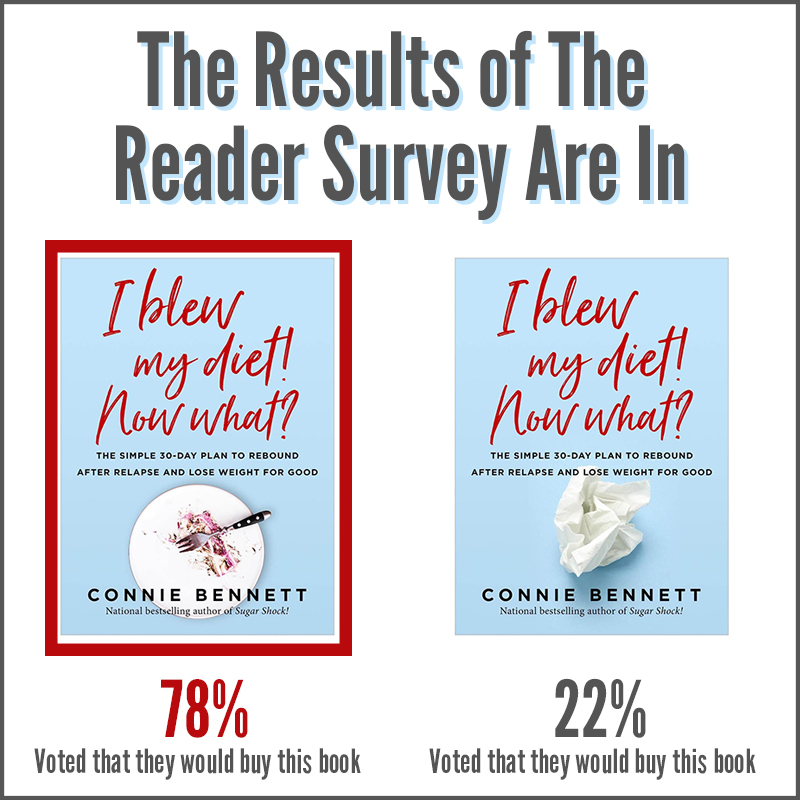 When I polled you about which book you’d buy, what I was really asking you was which book cover would pop out and call out to you enough so you’d want to buy the book. What a book-cover education I’ve had. Did you know that apparently, most of you really do judge a book by its cover? 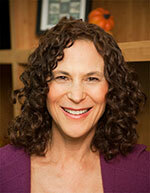 Why am I focusing so much on the cover of my next book? You see, unlike my first two books, Sugar Shock (Berkley Books) and Beyond Sugar Shock (Hay House), the cover decision was not up to me — it was the publisher’s decision. So for my third book, since I have final cover approval since I’m going with another publisher, Waterside Press — I’m super-focused on choosing the right cover and one that appeals to you. Eeks! 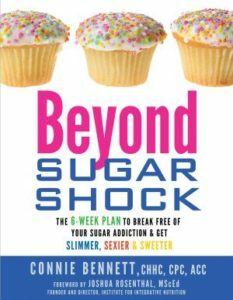 I got flack from annoyed and frustrated fans about the tempting cupcakes on the cover of my last book Beyond Sugar Shock. Read about their frustration here and one reader’s solution here. But this cover selections has been a really lengthy process! 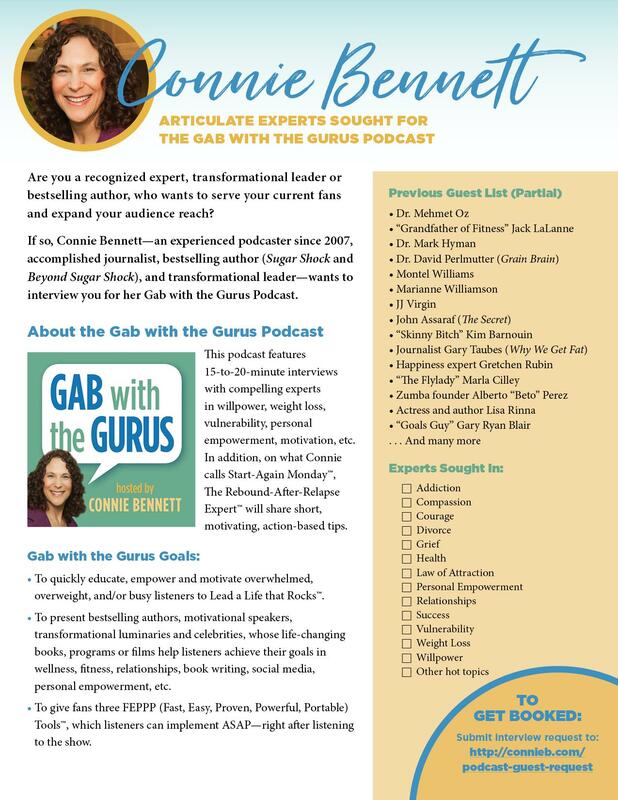 You never even saw the earlier two dozen other designs from three different graphic artists, because they just didn’t look like the cover of a New York Times bestselling book, which can help millions (my goal). Anyhow, I’m so very grateful to the amazing, talented Dunn Associates, who created this creative, compelling new cover. I’m also especially thankful to Steve Harrison, who came up with this new book title. 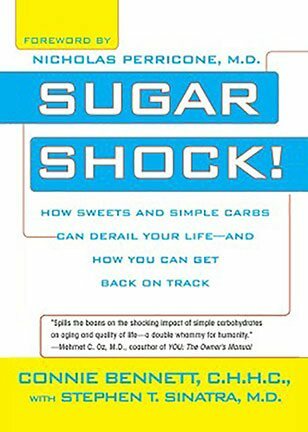 Confession time: I was going to call my next book Stop Carb Shock or End Carb Shock. Ho hum, right? Stick around soon, because soon, I’ll share some of the cover feedback. 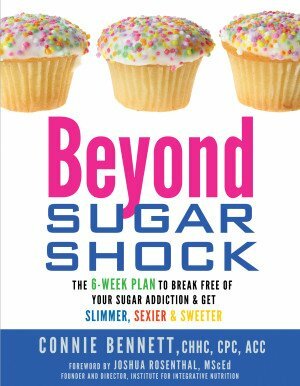 And next I’ll be asking you for ideas on what to cover on my new “I Blew My Diet! Now What?” Podcast. Please note that after running a quiz to find out which cover you like, my researcher found a book that looks uncannily similar to the cover I’d selected. Since the process was taking so long, I needed to move ahead quickly to get a new cover and couldn’t get your input. So here’s the new cover. http://rainypass.com/faq/ viagra canadian pharmacy order This fun, fascinating, science-based, Cravings-Crushing, Quick-Start Guide will click here whisk you away buy now from temptation for sugary, salty, fatty junk non-foods and and into the glorious, delicious, liberating world of self-control. Category: "I Blew My Diet! Now What?"